Our pets are like family members and grieve losses just like we do as humans. 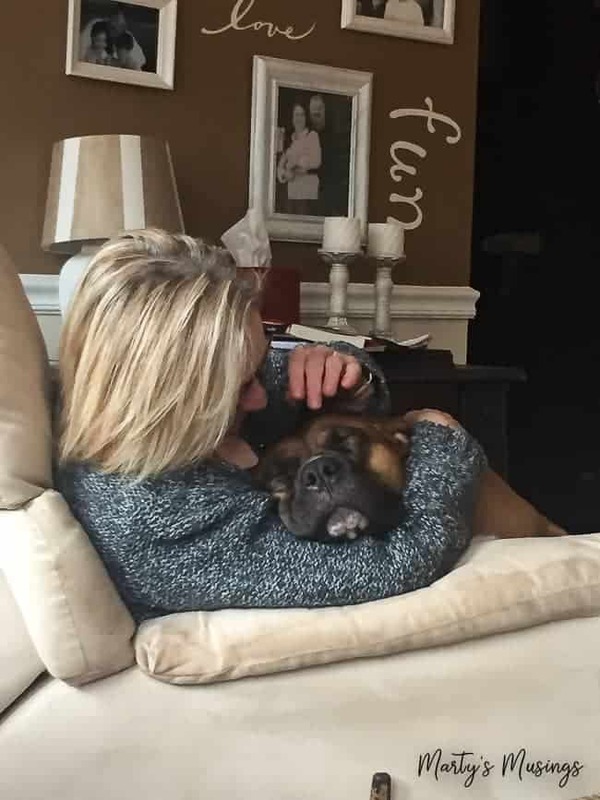 These 5 tips will teach you how to help a grieving dog recover from that pain. She had been getting sicker over the last two months and we don’t believe in taking extreme measures in prolonging a pet’s life. My husband and I have had many animals over the course of our marriage but this was the first time I’ve been the one to walk an animal through their last moments of life. 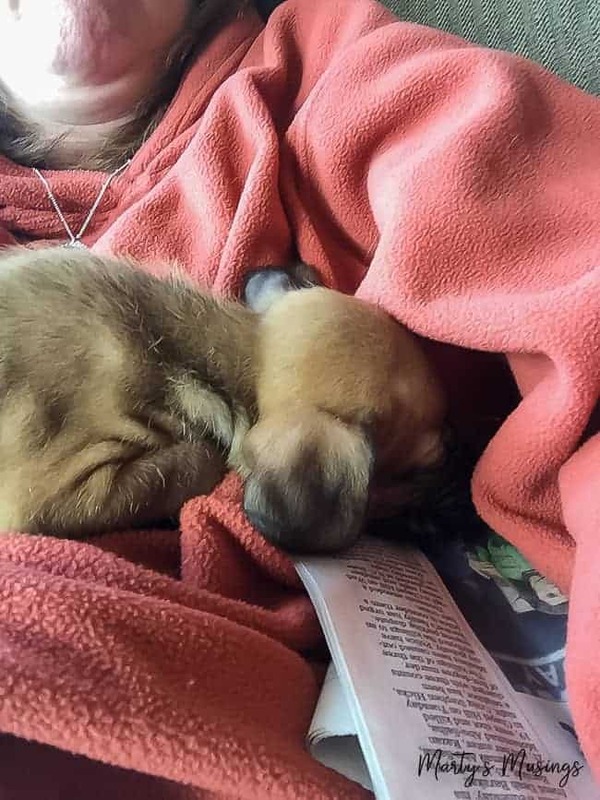 We’ve had to put pets to sleep through emergency situations that broke our hearts. Life lessons that taught our children about loss in the hardest of ways. Holly was a unique dog who came to us as a stray off the side of the road. A kind hearted neighbor picked her up off the side of the highway and brought her to us. Because having 5 kids, 2 dogs and 4 cats at the time was NOT enough chaos! One look and we were all goners. She became a member of the Waldenbunch, a part of many character lessons for our adopted children especially. We called her our RAD dog. Reactive Attachment Disorder (RAD), for those who’ve never heard of it, is a diagnosis that applies to children who don’t attach in their earliest years of life because of many reasons, sometimes neglect, abuse, sickness, etc. Holly was fearful for a long time and we could only imagine what her first four months of life looked like, if she ended up on the side of a four-lane highway. She would easily let us love all over her, but she seemed to have a hard time returning that love. Often she would just lay cuddled up beside one of us, taking in all the love we had to give. She became a lesson for my adopted children in their battle to attach to our family and let go of the wounds of their past. Today as my daughter Stephanie and I held her and cried as we said goodbye, I was so grateful we allowed this stray dog into our hearts, to teach not only our adopted children, but all of us about unconditional love. God always knows what we need to teach us about Himself, and Holly taught me that love given with a sacrificial heart is never in vain. When we got home from the vet our second dog Carson (short for Mr. Carson from Downton Abbey) knew something wasn’t right. In the days that followed he would wait at the back door for Holly to go out with him. He wandered in and out of their crate, smelling but not seeing her. Sometimes we don’t consider how our pets are attached to each other. The loss of a treasured pet not only grieves the humans in the family but also the other animals. Carson is MY dog. I picked him out of a litter of ten puppies, did most of the potty training myself (ugh!) 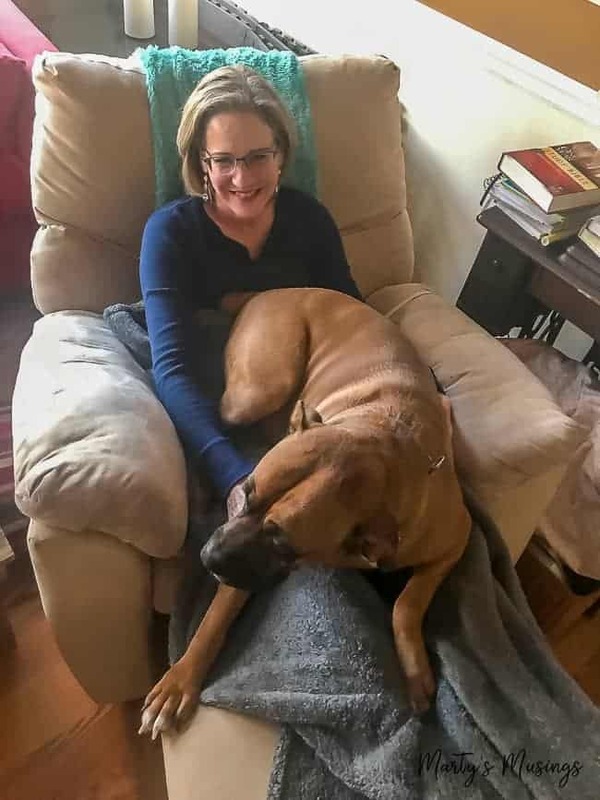 and now he’s my 75-lb lap dog. I knew that after losing Holly I wanted to make sure Carson stays as healthy and strong for as long as possible. Since he’s only four years old we hope to have many more years to play and cuddle. My readers have lifted my spirits so much after the loss of Holly when I shared the story on social media. 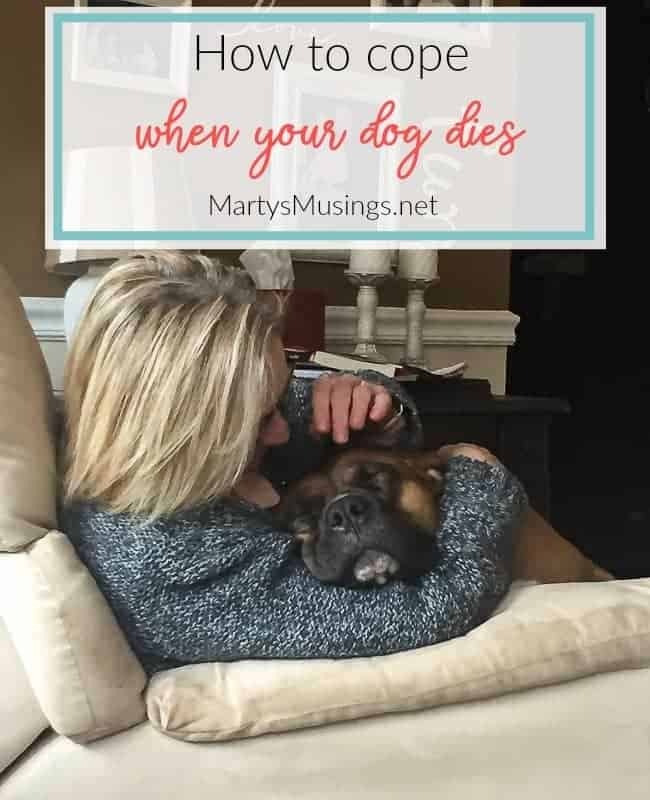 Today I want to return the love by giving you my best tips on how to help a grieving dog through a loss. Tip 1: Take care of your dog’s health. I know the best way I can help Carson is by taking care of his health just like I do mine. 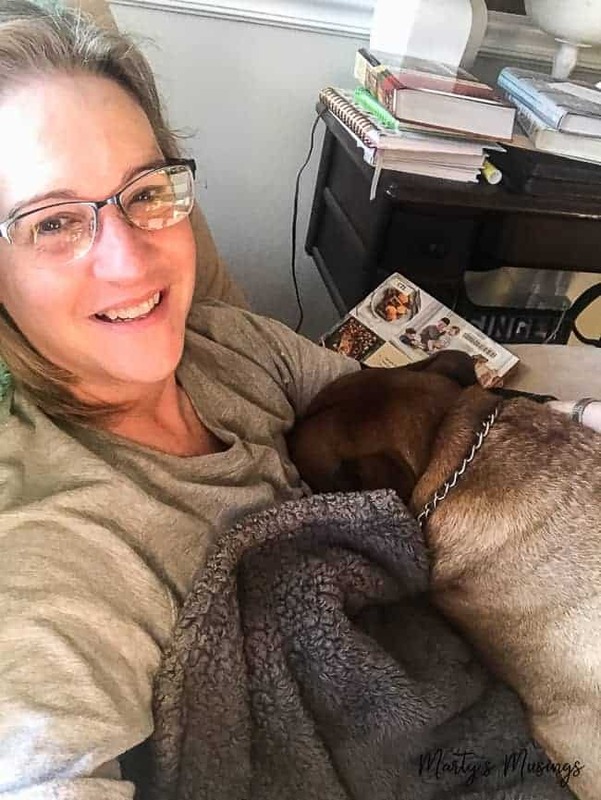 Grief takes a toil on our bodies (and our pets!) so I want to be mindful of how Carson is doing physically in this season. 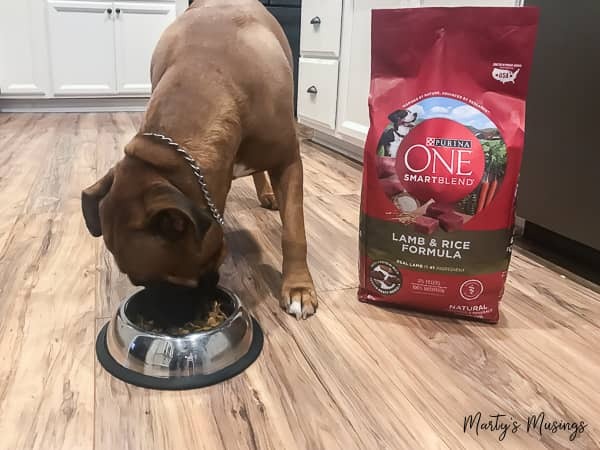 When Purina ONE® asked me to participate in their 28-Day Challenge it was the perfect opportunity to make sure he was eating a dog food recommended by veterinarians. 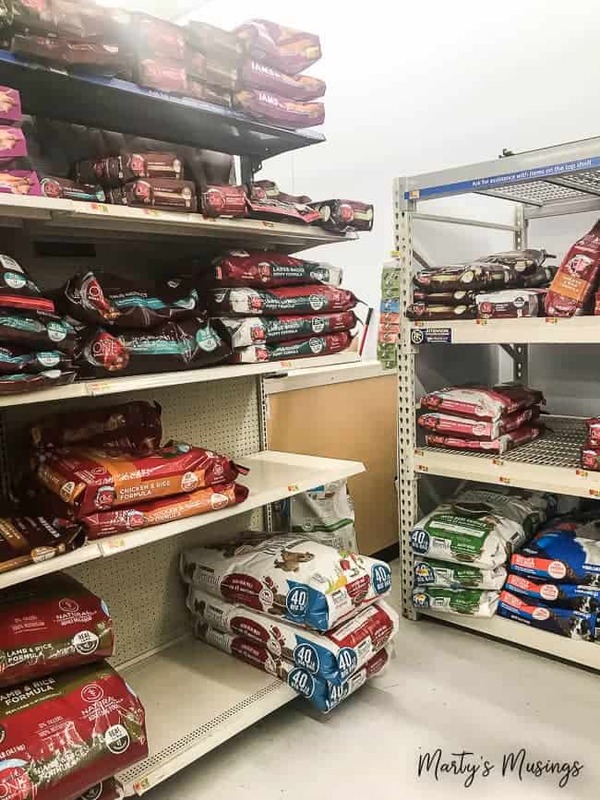 I purchased both Purina ONE® Lamb & Rice and Purina ONE® Turkey & Venison at my local Walmart for convenience and price. Carson was definitely excited to begin the challenge, as evidenced by his devouring the food on Day One! Thanks to the crunchy bites and tender, meaty morsels Carson loved the food immediately! By Day 28 Carson was doing great with the high-quality sources of protein, including real meat as the #1 ingredient. 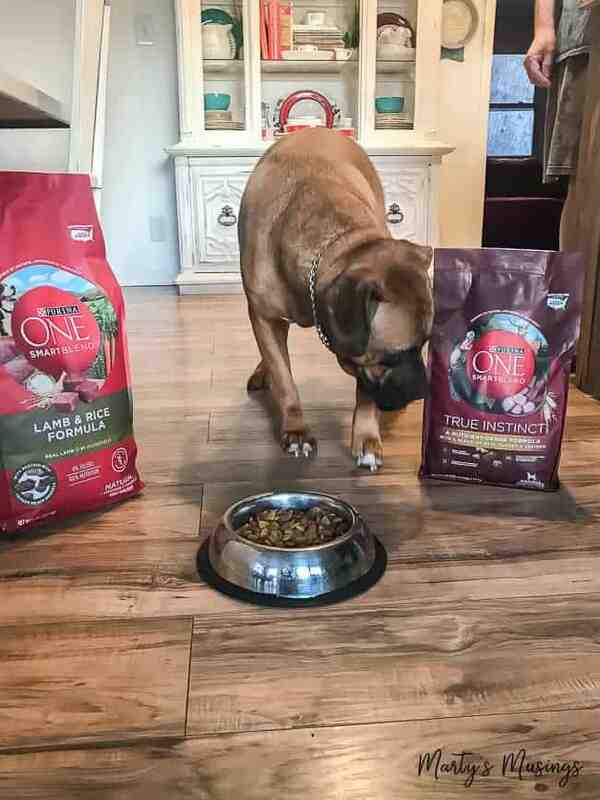 This helps support all of his muscles, including a healthy heart, while a natural source of glucosamine helps support his healthy joints. Hover over the image below to start shopping for your favorite dog! 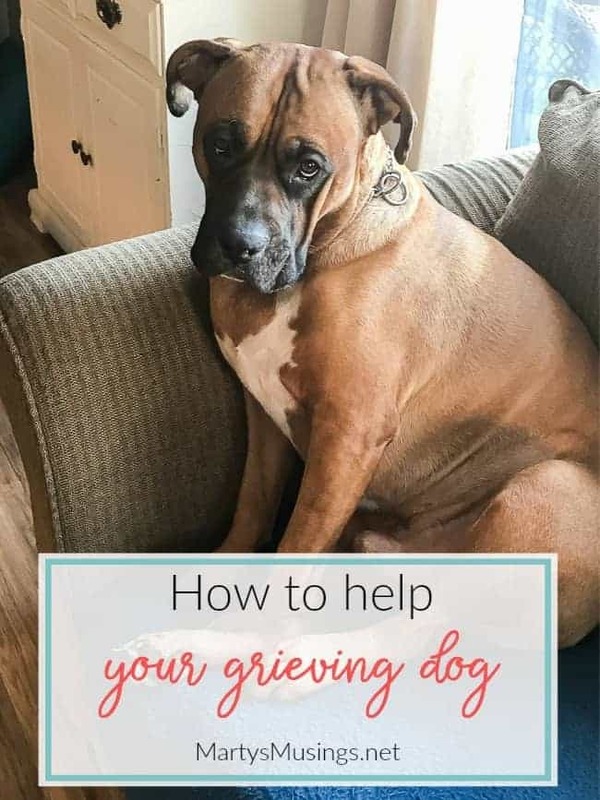 Tip 2: Allow your dog to grieve just like the family does. Your dog may want to lie around and be sad, a reaction quite similar to your own. It’s perfectly natural for them to be depressed, but you both can encourage each other by carving out time to be together. Tip 3: Keep things as normal as possible. Routine is crucial to helping your dog recover from a loss. 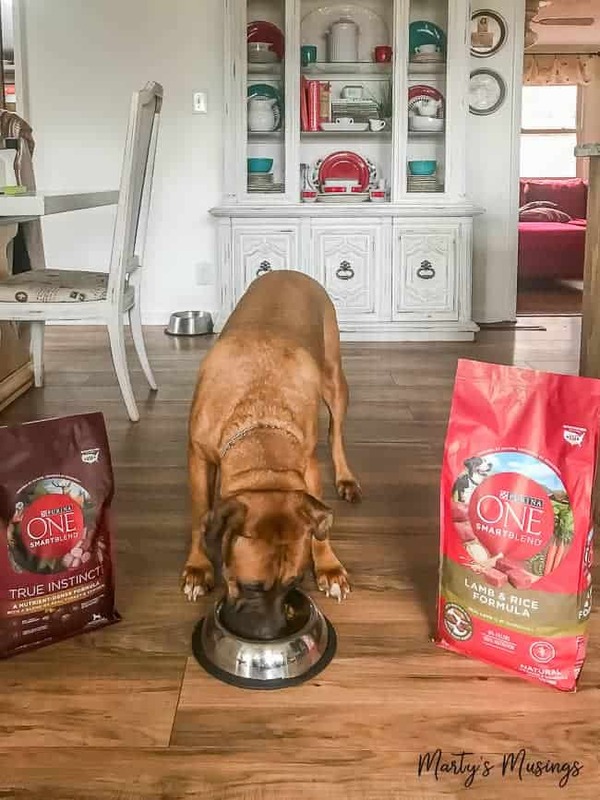 Feed your dog at the same time each day and take time to connect with them even if you are struggling yourself. my grandson Aiden and Carson, born right around the same time! Tip 4: Keep your dog busy. PLAY WITH THEM! Exercise is as important to our pets as it is for humans. If you run around and get the heart pumping, the movement will help both of you feel better. Do it even if you don’t want to. Your body will release happy endorphins and your pet will know it’s still a treasured part of your life. I’m Carson’s personal playmate since he spends a good amount of time each day bringing me his toy and trying to get me to play! 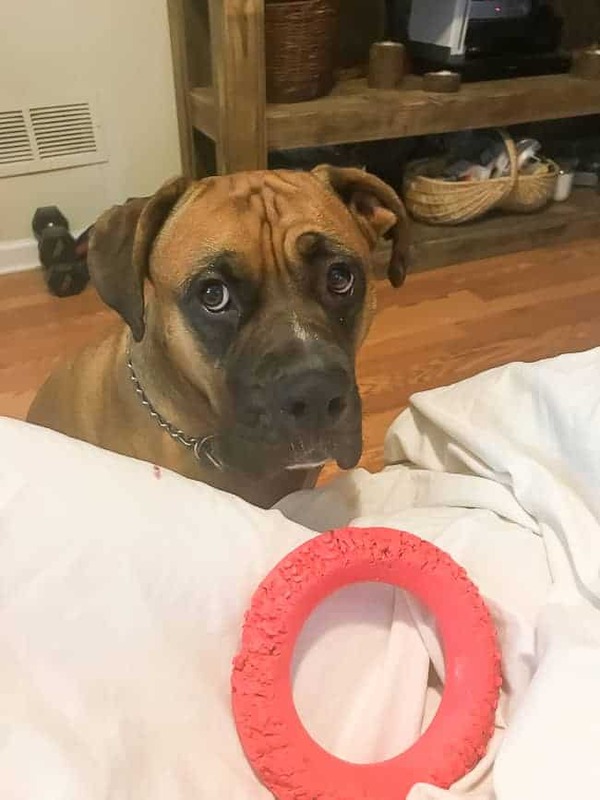 this is Carson’s oh so subtle way to distract me and FORCE me to play with him (plus it’s the only toy he can’t destroy! Tip 5: Love on them in ways only you know best. When Carson was just a bitty thing he used to bury his nose under my arm. Some things haven’t changed much! 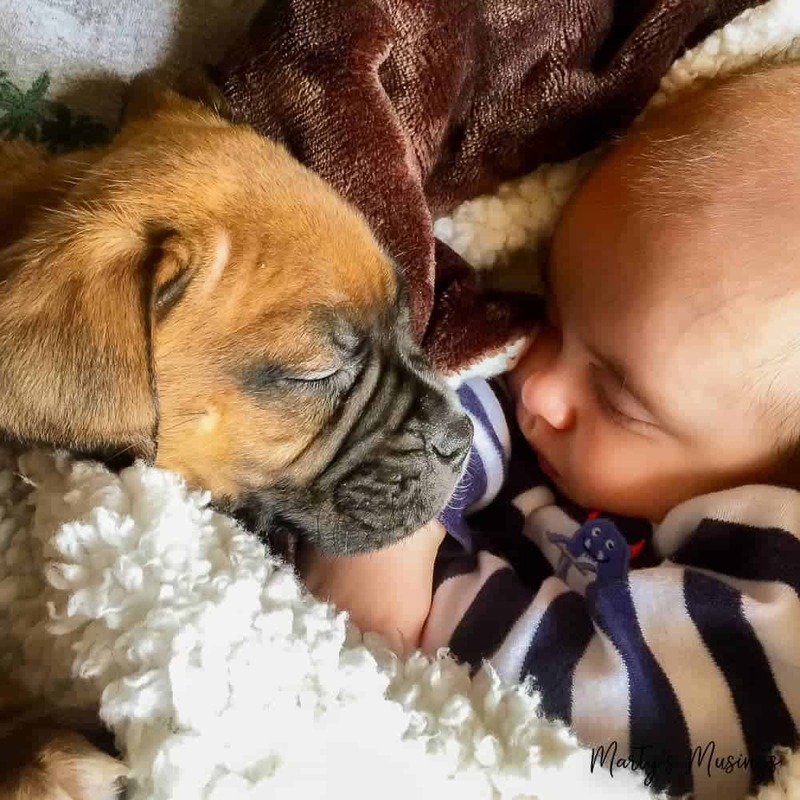 Puppies of all ages need love and devotion. 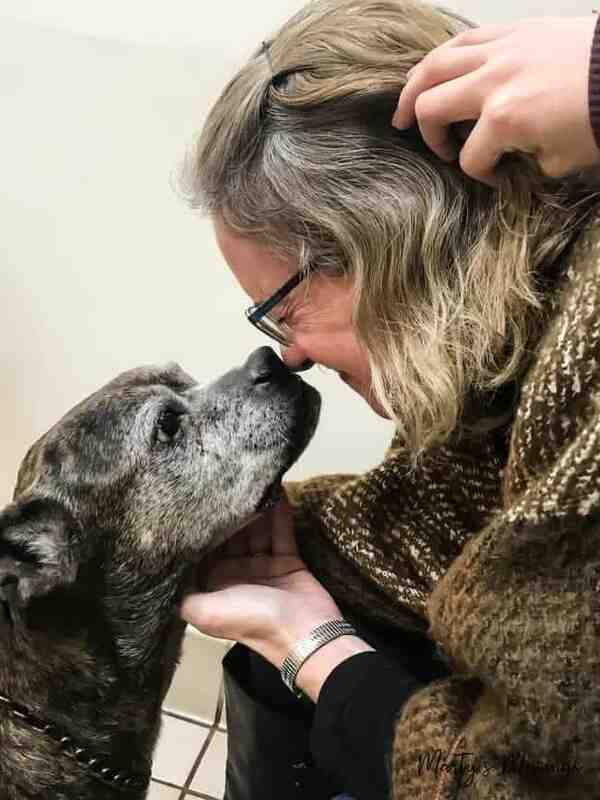 As dog (and pet) owners, it’s up to us to learn how to help a grieving dog (and other pets) when difficult things happen in our families. Just as with our children, we set the example for living and loving when a loss happens. I’d love for you to share your experience with the loss of a cherished pet so we can all be encouraged! At the end of life, dogs “die” they don’t go to sleep. If you have children, you need to tell them that the dog is going to die to end their pain and suffering. To tell them that the dog is going to sleep is confusing as they assume the dog is going to wake up. Death is a part of life and the grieving process is healthy for children to experience. But I did like your article. Hi, Brian. I totally agree with you on this point. Our kids needs to know they’re safe when they go to sleep at night, not confused that they’re going to leave like the dog did. But this post was geared for adults and “put to sleep” is just the term I’ve always used. Thanks for sharing your thoughts. Good article. I did all of these steps naturally when our four year dog lost his mommy suddenly. Nothing got him out of his grief until after two months we got a puppy. They don’t replace but it brought light activity and fun back into our home and it worked. He now has a little brother instead of a mother and though we are all still sad we are mining one step at a time and my four year old is happy again. Hi, Beth. We’ve done the same thing through the years as we’ve had pets die. Right now my husband and I are empty nesters for the first time and I work from home and just can’t tackle potty training a dog right now. Maybe at some point or an older dog. Who knows? Thanks for sharing! One thing I learned from a vet is that when one of a bonded pair dies, as one of my cats did, it helps to bring the body home so the other sees that it has gone. They seem to know. It helped Mollie grieve and she didn’t look for Max and wait for him to come back. Thanks so much for sharing your experience, Barb! Hopefully it will help others in the future.